09.10.11 - what a great date! It also happens this was my first wedding anniversary but rather than breakfast-in-bed and a lazy morning with my husband I was taking part in the Royal Parks Half Marathon in aid of Asthma UK. I was hoping that both husband and son would be there to cheer me on but due to a rugby injury husband was unable to move, let alone look after son! So his mum had to come to look after son and grandson while I ran alone. It was a beautiful day for running and the route took in Hyde park, Green Park, St James Park and Kensington Gardens as well as a stretch along the embankment alongside the Thames. 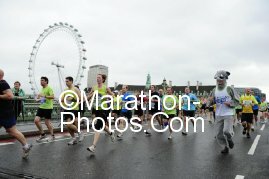 12,500 people took part and I crossed the finish line in 1hour 54 minutes and 24 seconds, beating my PB by 30 seconds! 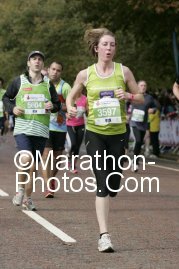 It was a great taster of what the London Marathon might be like - it inspired me but also made me think I have a lot of training to put in between now and April 2012. I know I'm stating the obvious but 26 miles is a very long way! I was running in memory of a friend who sadly passed away at the very end of last year. This pint and medal were for you, Alex! Back home, the pain killers were working on husband so we went out for dinner to celebrate our first year of marriage. He was a little stooped and I was walking like a robot, so we must have looked a right pair going up the hill. Maybe it was an insight to what we will be like after 50 years of marriage! It was a lovely end to a fantastic (but busy) weekend. I slept well that night, that's for sure!